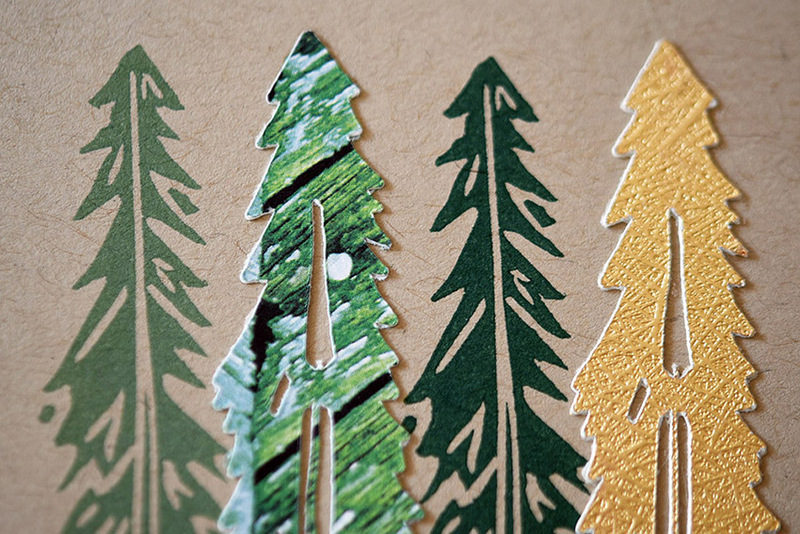 Similar to the Everlasting Redwood set, the concept for this elegantly understated design came from the spectacular Redwood and Sequoia forests (as well as the moon of Endor). 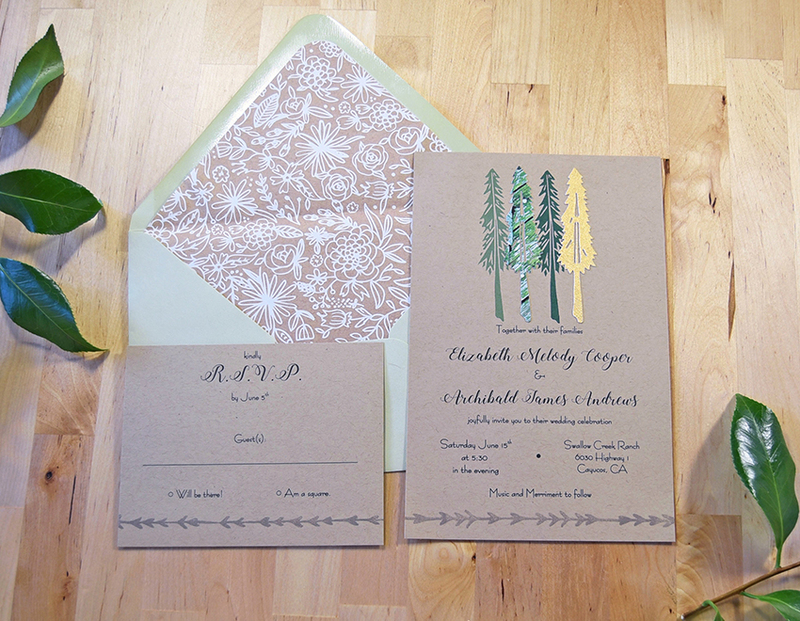 Made on speckled paper bag-colored card stock, this invitation features a collection of evergreen trees in rich greens and gold. 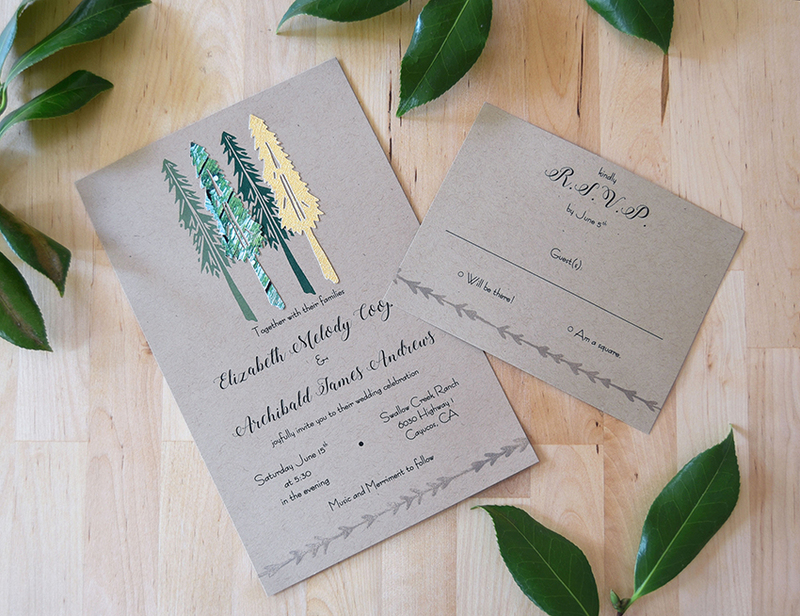 Aesthetically pleasing and effortlessly stylish, this design is a great match for an event with a chicly rustic flair.